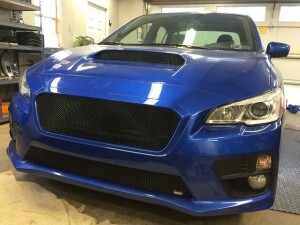 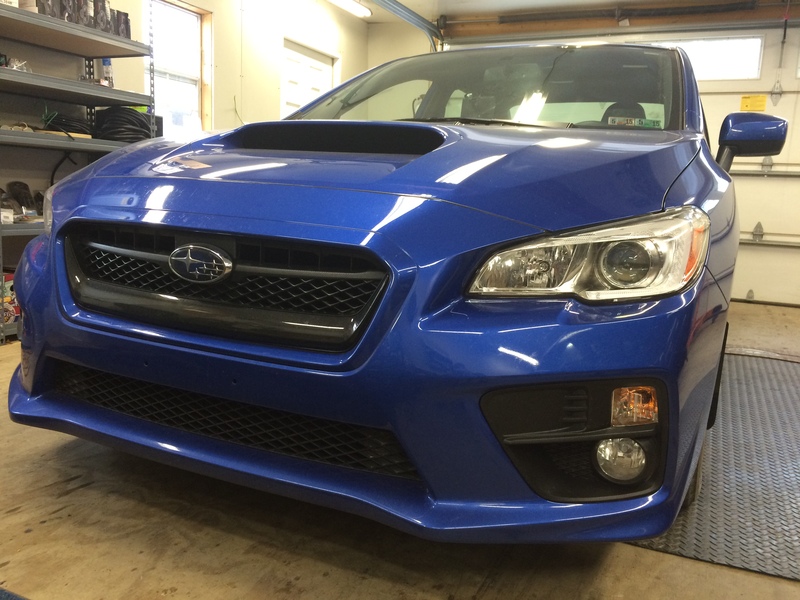 Adding to the already aggressive look of the new WRX is the addition of a three piece mesh grille kit by Grillecraft. The fit and finish of this grille kit was impeccable. 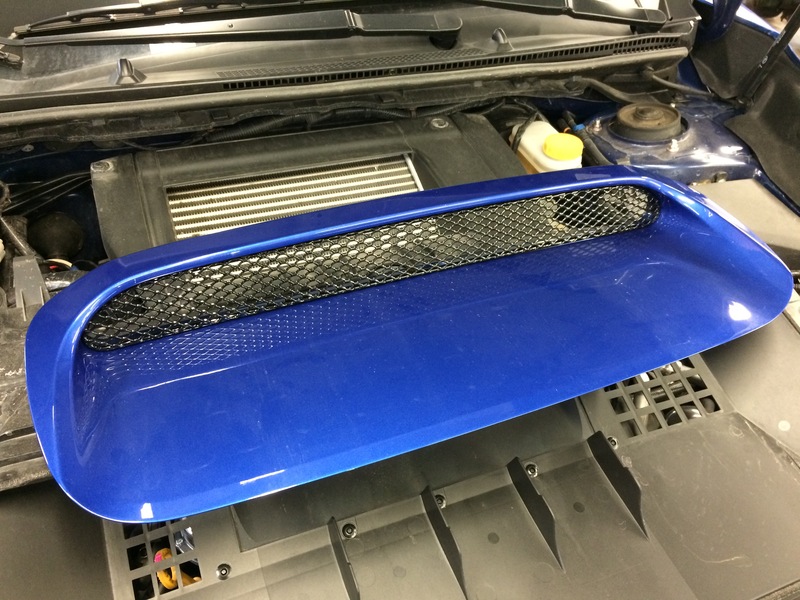 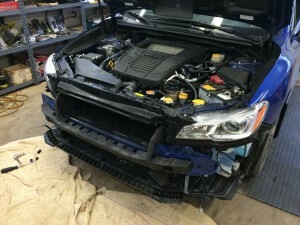 Removal of the hoodscoop and front fascia was necessary to fit the grilles properly. 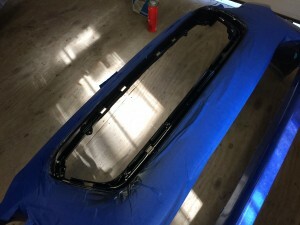 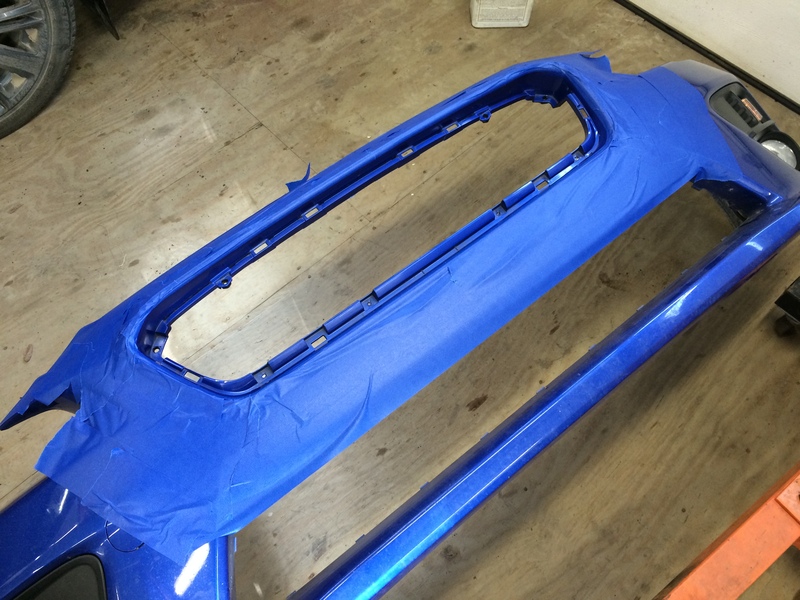 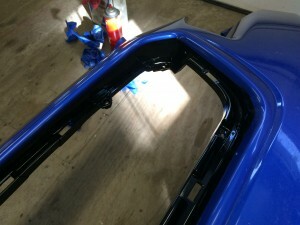 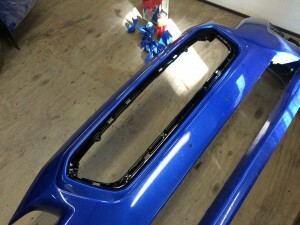 Additional paintwork was also needed to complete the installation of the center grille. 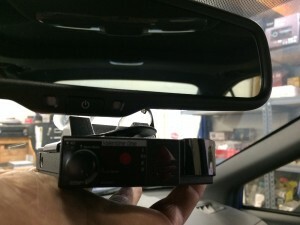 A Valentine One radar detector mounted below the rearview mirror is hardwired into the fusebox with a simple yet effective side by side fuse insert. 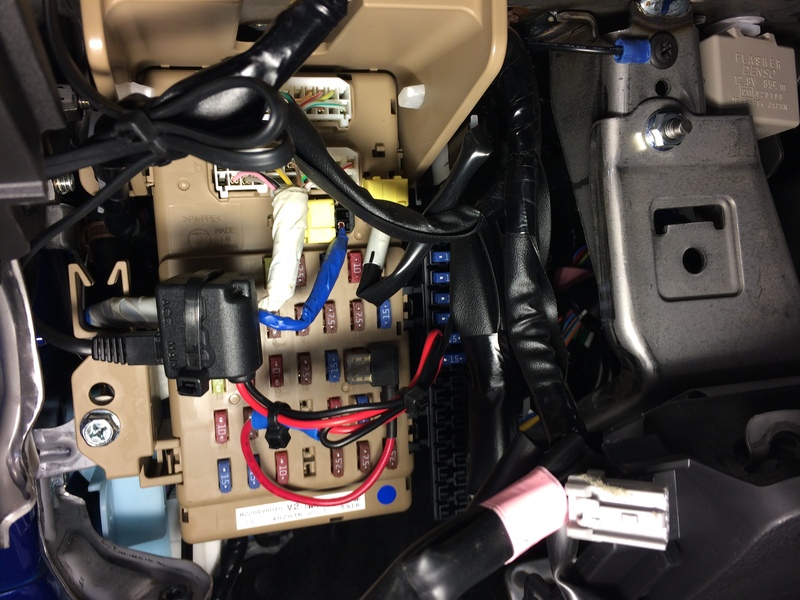 This keeps the dash clean by eliminating the standard 12v power plug and slinky cord used to power the detector. 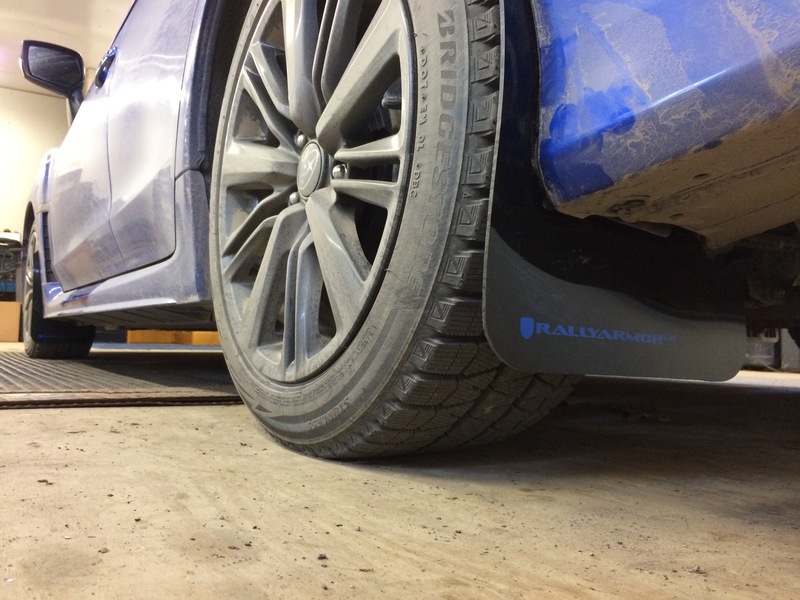 The final touch is a set of Rally Armour mud flaps. 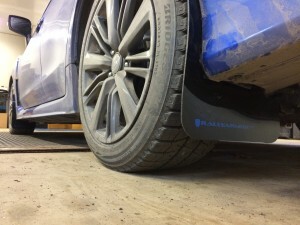 These mud flaps are extremely durable and provide added protection from road debris.